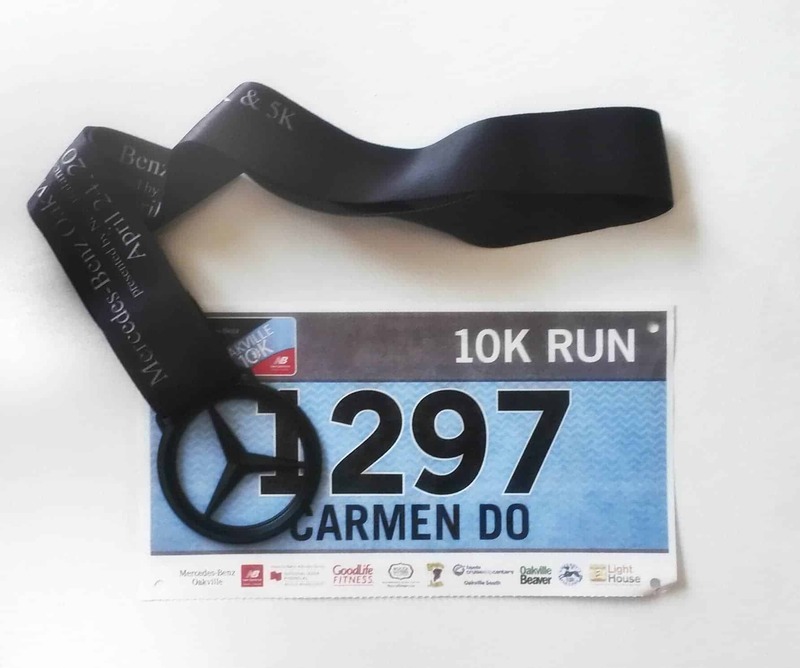 Disclaimer: I ran the Mercedes-Benz 10k as an ambassador and thus my race entry was comped. All opinions are my own. 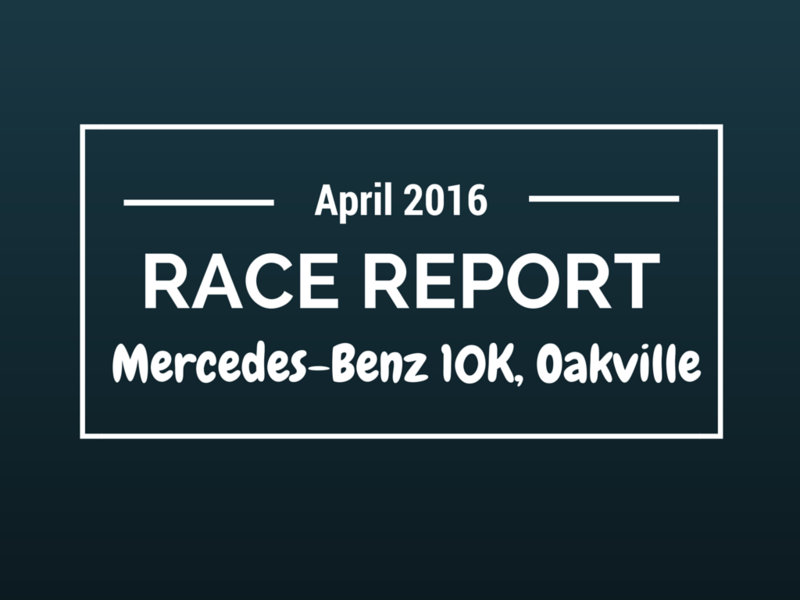 The Mercedes-Benz 10K is a week before my goal race, the Mississauga Half Marathon. So the training leading up to the Mercedes-Benz 10K was pretty decent. I’ve already done my 23K long run and had started tapering so the Mercedes-Benz 10K was going to be my last workout run. It was supposed to be a tempo, 5K warm up pace, 5k at 5:35min/km, then 2K cool down. This was the “confident builder” race so to me, it was quite an important race to nail. The race said the course would be fast and flat so I was ready to rumble. Learning from my previous mistake at Achilles 5K of having to eat hot pizza pockets for breakfast, I had real pizza the morning of this time! 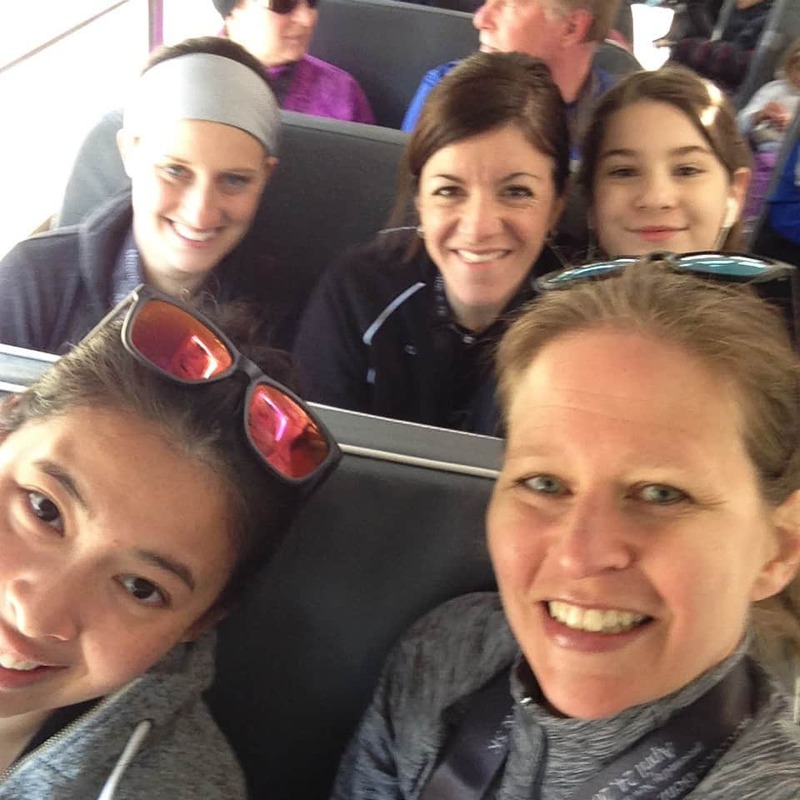 Because this race was in Oakville, around 40K from Toronto to get there, Cathy, Allison and I had met up at 6:45 to carpool to Oakville. The race had requested we all be there by at the latest 7:45 so they could shuttle us 5K from the parking lot to the start area. Unfortunately, one of the shuttlebuses had broken down causing a delay in the transportation. I was totally worried but luckily, we made a phone call and get picked up by a van and dropped off a block from the start area. Due to the transportation hiccup, the race was delayed by 20 minutes. I managed to get there just in time to get into Corral C but didn’t get a chance to get to the port-a-potties. Since it was only 10k, I wasn’t too concerned about my bladder. I had on my Mizuno Breathe Thermo zip up, my favourite Lululemon Tracker shorts, Mizuno Wave Rider 12s, my Longboat Road Runner singlet, and a Nike t-shirt underneath. The outfit was absolutely perfect for the weather but it was definitely a bit more chilly that I thought it’d be (5 degrees C/41 F). The race was a bit of a surprise to me. As I said before, it was said to be flat and fast but I knew I’d be in trouble after the first kilometre. The first kilometre was downhill. And you KNOW that at a race, what goes downhill…. Usually goes uphill! So the first 5K went by pretty swimmingly. Vicky and I ran together and it was fun flying down the hills. The view for the first 5K was also quite scenic. The Mercedes-Benz 10k route had us run by the water so we got a cool breeze and was able to avoid the boring city views that most city races provide. The view was definitely one of the highlights of the race! Then came the uphill. You know how when I hear that they’ll be a hill at a race, I will 99.9% skip the race? Yeah. Surprise! It was time to go up! I mean it wasn’t big monsterous hills, but it was definitely something I would have liked to factored in when making a pace plan. However, I’m just going to chalk it up to hill training as my goal race next week does have hills and the treadmill I’ve been hogging at the gym has none. So I didn’t hit the paces I had wanted to due to the hills, but hey, I ran hills. I also got to see where the Lululemon in Oakville was located and I had a momentary thought of going in for a quick shop haha. But overall, I really did not enjoy the hills and it really threw me off my game plan. I had tried to stick to my goal of 5:35 as much as possible: the last 5K was 5:36, 5:52, 6:00, 5:52, 5:45. After the finishing chute, we were herded off to the field where we started. Post race food included bagels, apples, bananas, and cookies. I beelined for the cookies. I ran hills, I soooo deserved it. Plus any race that has good cookies (not the hard as rock ones, ahem) has my attention. I really appreciated the short little motivational quotes under each race marker – considering that I’m nearsighted and can barely see half the time, I approve of their font size. The one I can currently remember in my post run haze is the 3K marker saying Run Forest Run!! I would have really liked the roads to have been more clear. Because the entire road was not sectioned off the race, it was quite tight. On the major roads, I had one lane divided into half, one side for those going out and one side for those going back on the course. It was difficult to weave through as it gave enough room for us to be two by two and the other lane to be two by two. 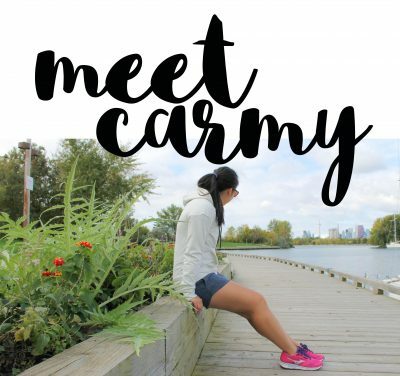 At one point, when I hit my 5K mark and I knew I had to pick up the pace, I had to cut onto the sidewalk to be able to break past the pace. I didn’t mind as it gave me a clear path to go from 6:10mins/km to 5:35 but it was probably not the best idea if there had been spectators on the course. In addition, I was very uncomfortable with the roads not fully being closed. There were cars trying to turn out of smaller streets and into the main road while we were running on the main road. 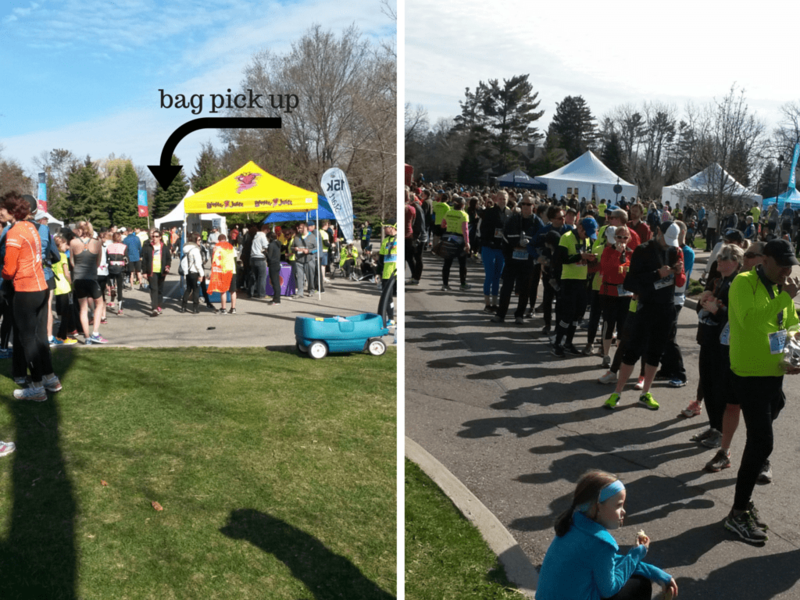 I ended up running behind a pick-up truck around the 5K mark to get around it. I understand that it can get expensive to close down roads for too long but it just wasn’t something I’m okay with. One car actually didn’t respect the no parking sign and was ticketed for parking on the lane was blocked off for runners. This leads to the need for more signage and marshalling. I was lucky as I was running with quite a large pack of people around me but people like Bart was not. While the lead runner had a cyclist giving him directions, Bart did not. He was one of the front of the pack guys so usually that means there isn’t a lot of them running together with a crowd. He and another runner unfortunately took a wrong turn due to the lack of signal and course marshals. I agree that there should have been more signs due to the high amount of turns that we did into residential and back streets. Baggage pick up line in front of me. Baggage pick up line behind me. While the shuttle bus having a breakdown was out of the race’s control, I felt there should have been more buses running. 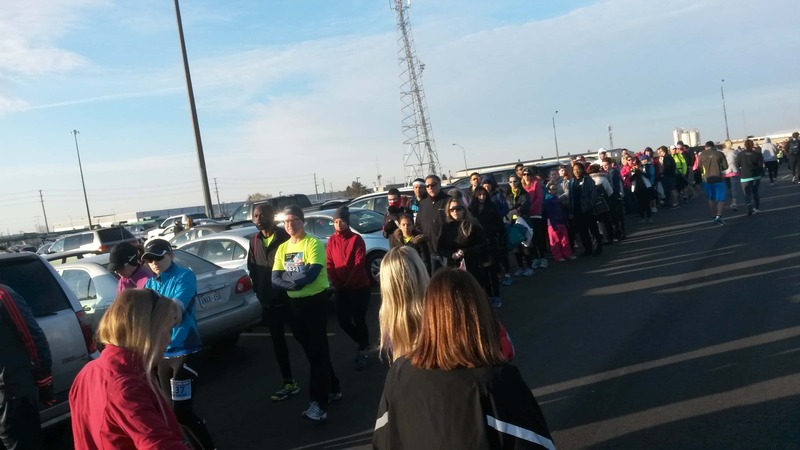 I really appreciated how they had transported not only the runners but the spectators together to the starting area. This really helps make spectators feel included in an event and it helps keep families and friends together to avoid the panic filled “where are you? !” texts. The race also allowed for race day bib pick up which was great for people who like myself was from out of town. However, I had heard from Cathy who picked up my bib on Friday that the line up was quite long. A feature that Mercedes-Benz 10K had that I found to be great was that it was extremely family friendly. The kids were able to run their own race so they were able to be included in the day’s events if one or both their parents were running. It’s a great way to get kids active. 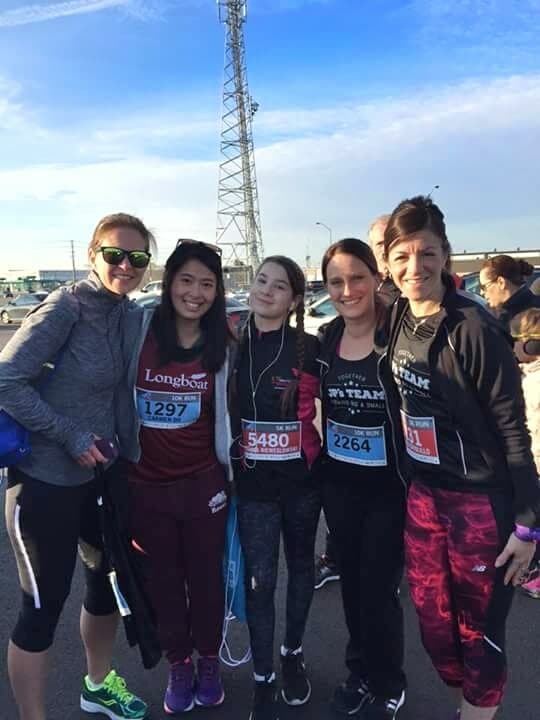 And speaking of kids being active, I’ve never been more proud than to see Melly’s daughter do her very first 5K race and ENJOYED IT enough that she says she’ll do more races with us in the future (although I had told her to get Melly to buy her something pretty for doing so well for her first 5K). There was a 1K junior jog, and a free toddler tot. Guys, if you have never seen a group of toddlers tot-ing at a race, you are missing out. It is the cutest thing ever. In line with having the kids feel included, there was a family zone near baggage check where kids had the option of Parachute Games, Hula Hoop Competition, Family Bingo, Mini Basketball and more to keep kids entertained. 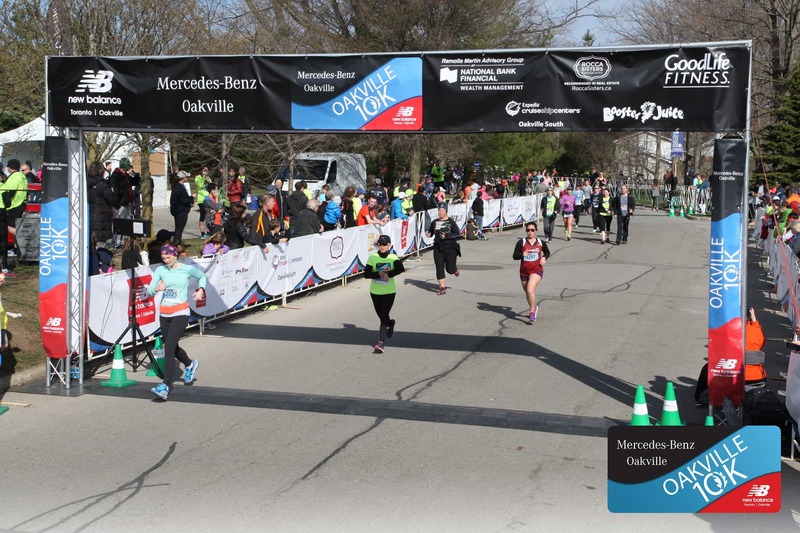 Major thanks to all the volunteers and sponsors at Mercedes-Benz 10K such as: GoodLife Fitness, New Balance Canada, Booster Juice for making this day possible. Also, major thanks for having FREE RACE PHOTOS. Free race photos are seriously the best. I’ll be updating the post once race photos come out! 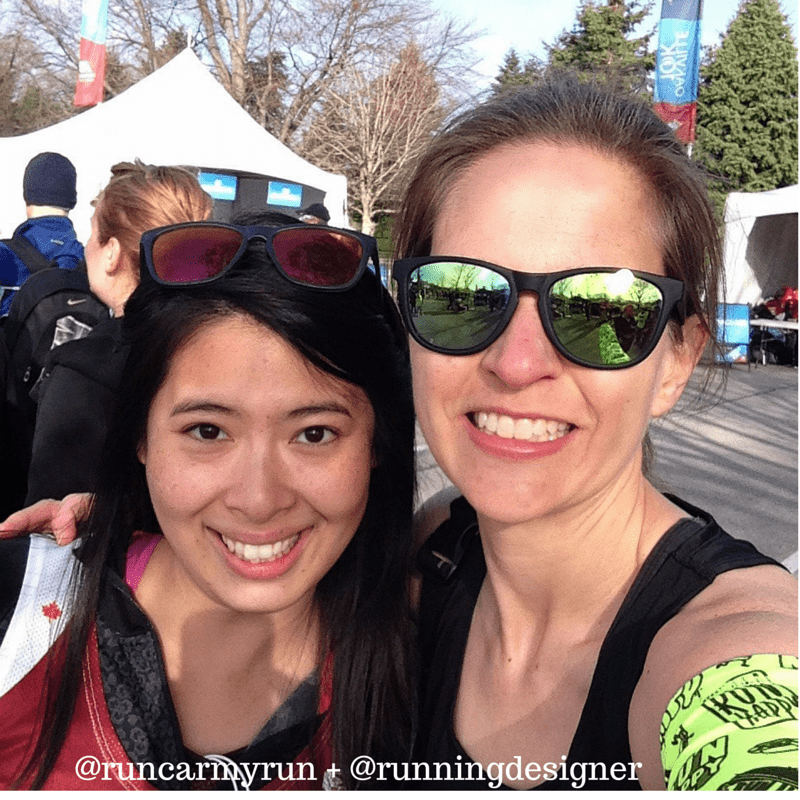 QOTD: Did you race this weekend? Big Sur? 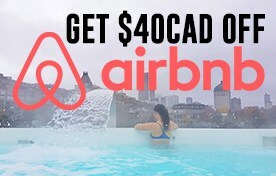 Scotiabank Montreal? London Marathon? How did it go? Oh, and I did not win the one year free lease via the Mercedes-Benz 10k draw prize. A girl can dream. Great job! That’s a great time especially with those hills. Sounds like the race has some things to learn from this year, hopefully they factor in the feedback and get better for next year. Sounds like a pretty good race overall. I’m glad they delayed the start so everyone could get there. I definitely wouldn’t like that narrow section, though! Narrow lanes are just awful for passing! Thanks for the recap, it was entertaining and informative. Running those negative splits when the first part is downhill can be a little hard ;P Good time though all around, a good read. I love a 10k race looks like a fun time over all. I also feel a little uncomfortable when the roads are not fully closed off. nice time on the finish! Congrats girl! It’s hard to get into a race when the commute/start doesn’t go as planned. I had a minor breakdown at Scotia last year when I was running a bit late and needed to find my pacer. It affected my race for sure. You pulled off a great time and have an awesome attitude about it!! SEE YOU SOON! Phew! You definitely earned that medal with that those crazy elevation changes! Way to rock it!!! Thanks! It was supposed to be a flat race but to me, it definitely was not! Love that medal!! I can’t imagine being in a race and having the shuttle bus breakdown ??? . talk about pre race nerves! The medal is definitely a highlight of the race! this sounds like a wonderful race for you – congratulations!!! that medal is adorable (love the plug for a real one, haha!) That’s too bad about the signage. I can’t even imagine being a front of the packer and having no guidance. Congratulations on your 10K! Love the medal! Logistically it sounded like they overall did a good job but running on a tight road is definitely a challenge! You earned those cookies! Congrats! I don’t mind hills, but I do appreciate a little warning LOL. 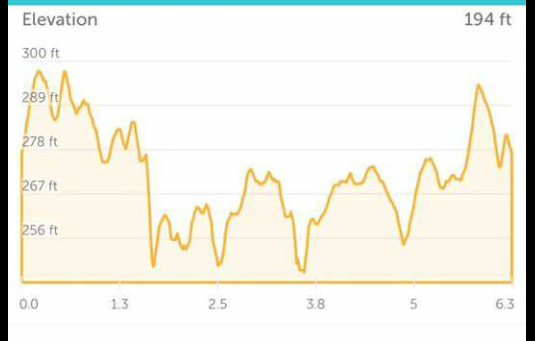 There’s a 13.1 I have done a few times, and it starts out with a long, gradual decline for the first mile or so….then a few small hills mixed in until mile 11…and then there’s a beast of a hill. We all know the hill is coming, but it’s long and steep! Wow, that elevation map is no joke! You ran a very strong race, even with all of those hills. Way to go! What a cool medal! And absolutely you deserved the cookies!! As with all things, glitches arise. It’s great that the race organizers are taking the runners’ thoughts and concerns under advisement and will endeavor to make changes and improvements. No races for me this week, but I will get there! Ohhh I hate courses that aren’t closed to traffic, in addition to all of the safety concerns, I hate breathing in the exhaust! Great job on a hilly course !That medal rocks!